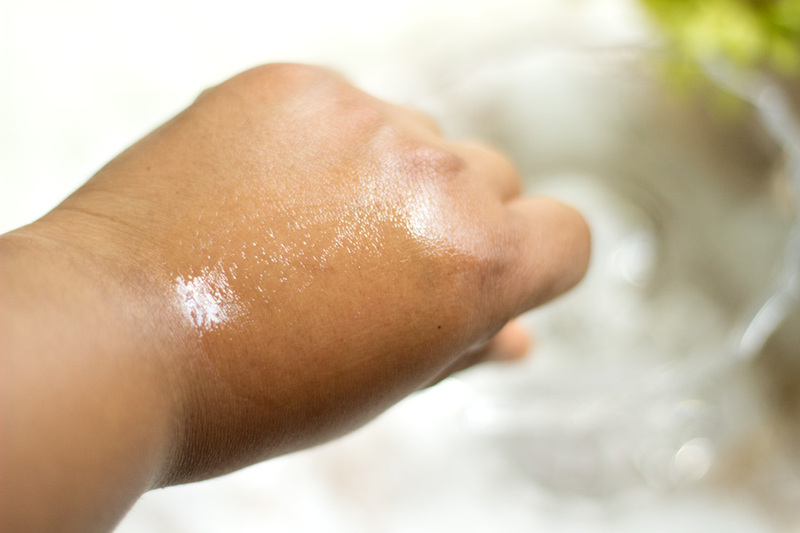 It took me a long time to realise that oily skin could indeed feel dehydrated.You would think it is common sense to know this but nopes, I just thought there is no way my skin would ever need any extra hydration in its oily state. I could never have been more wrong. I would say my skin is fairly well behaved during A/W season but it just goes bonkers during summer. It feels a little more oily but at the same time I can tell it is dehydrated because it just looks dull. Of course, I always up my water intake but somehow moisture still leaves my skin one way or the other. I have a post here where I spoke about how to keep your skin hydrated this summer and I featured this serum. However, I thought it deserved its own review because I have really enjoyed using it this month. 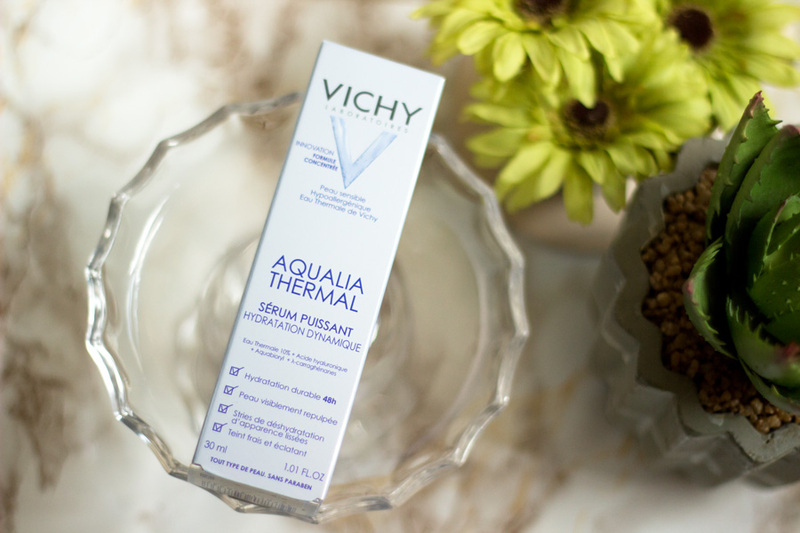 I received the Vichy Aqualia Thermal Serum* along with other lovely skincare products from the Vichy PR team and I was really pleased to finally try it. I am sure you all know I am crazy about French skincare products because they work really well with my skin. And of course, they have one of the best pristine packagings ever! I don't know what it is about them but they work for my acne/blemish prone combination skin. 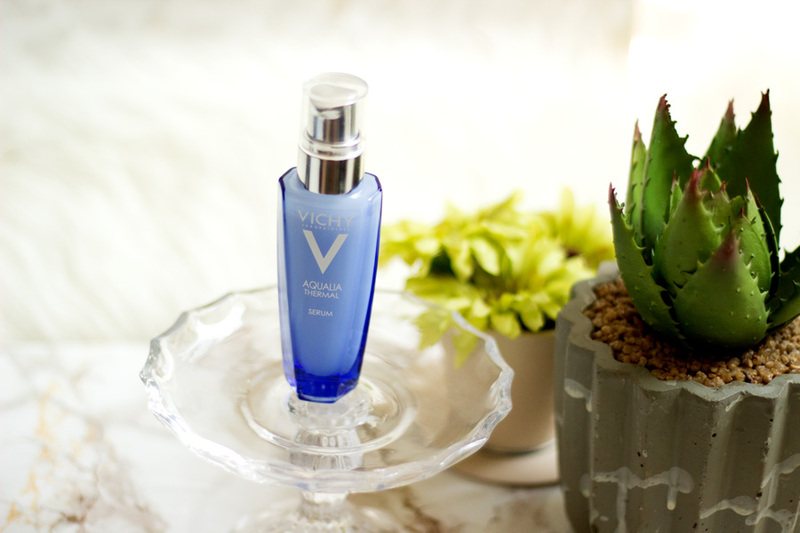 Vichy is a premium brand which stocks makeup, skincare and anti-aging products and the brand was founded in 1930. The water used in the production of their various products is obtained from their Thermal Spa water in the hot Springs of the town Vichy in France. Vichy is one of the biggest beauty brands in the European skincare market and are well known for their makeup range, Dermablend. 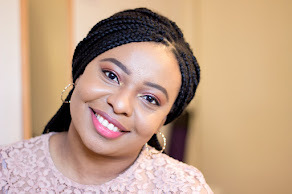 I have always been intrigued by the Dermablend range especially after watching various videos on YouTube where it was shown to completely cover spots, blemishes, tattoos and even Vitiligo. It's seriously incredibly and I may just need to try it out if they have a shade that matches my complexion. Vichy is stocked in Boots and other online stores like Escentual, Dermacentre, to mention a few. How elegant is this packaging? I think it looks so much more expensive than it is. 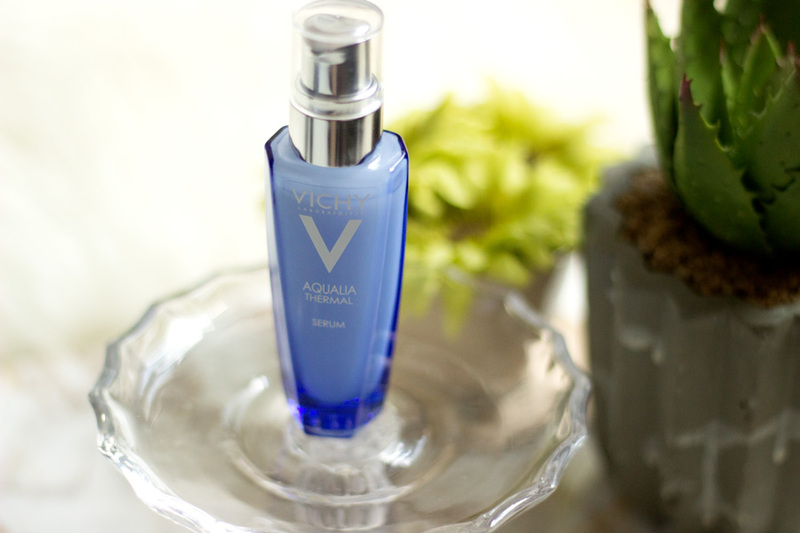 The Vichy Aqualia Thermal Serum comes in a 30 ml glass packaging complete with a pump. The bottle is a lovely sky blue shade and it is transparent so you can see how much product is left. I really like this transparent feature. There is nothing as annoying as finding out your beloved skincare has run out when you least expect it especially if it is housed in an opaque bottle. I just love everything about the packaging and I am so pleased it comes with a pump. 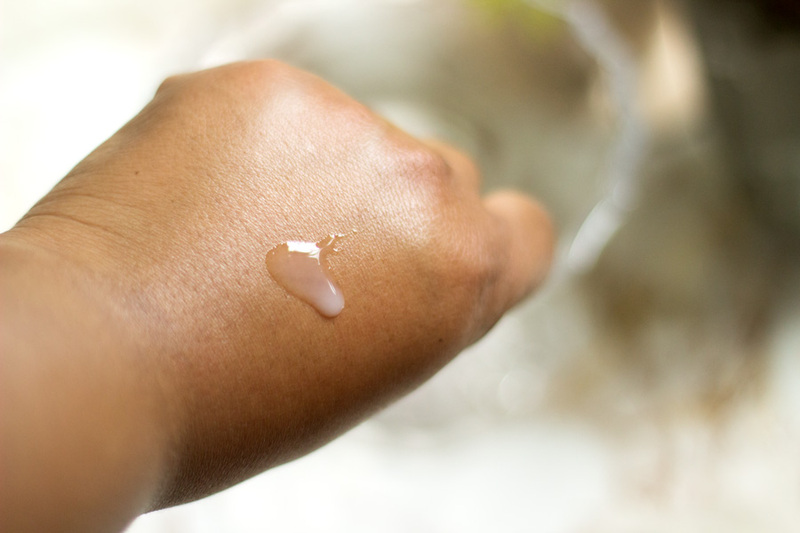 The pump helps to dispense the right amount of product although it is easy to be wasteful because the texture of the serum itself is slightly runny. The bottle is a slim one which makes it easy to travel with as it is under 30 ml. The lid is also well secured so it is not one of those serums that would spill all over your luggage if you travelled with it. 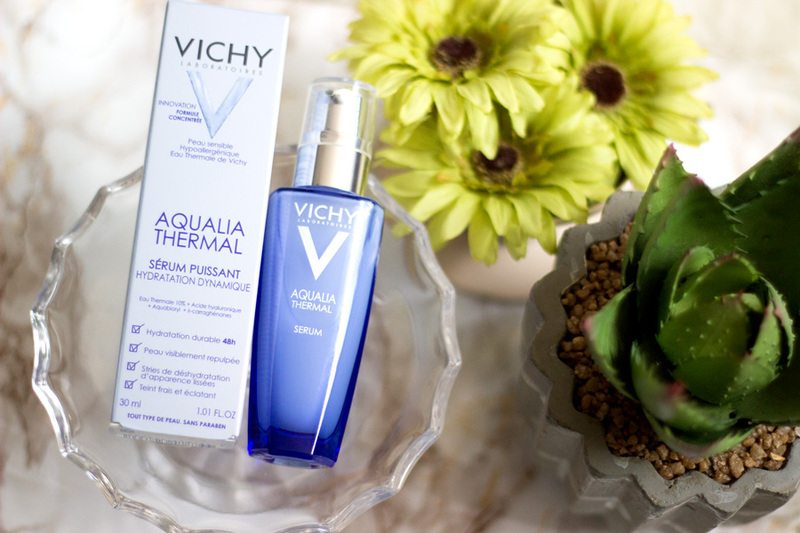 What does Vichy say about the Aqualia Thermal Serum? 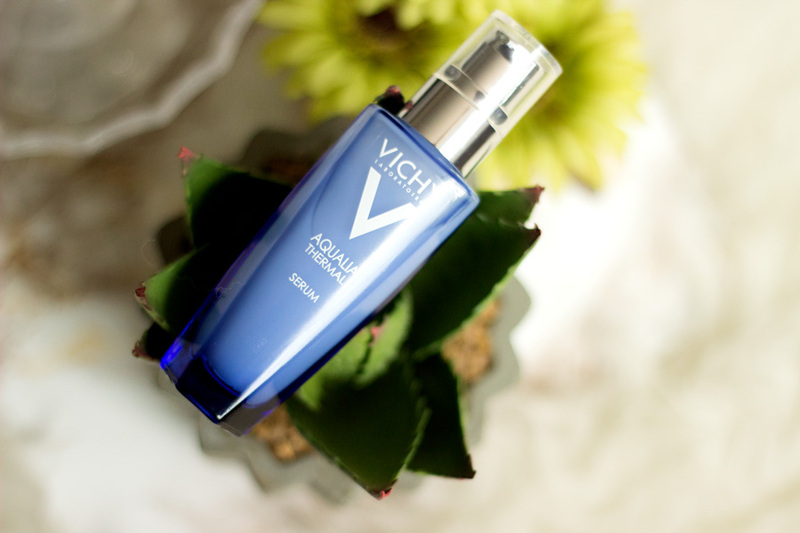 The Vichy Aqualia Thermal Serum is described as a dynamic hydration power serum which is designed to hydrate and plump the skin. It also promises to provide 48-Hr lasting hydration and provide a fresh and radiant complexion. 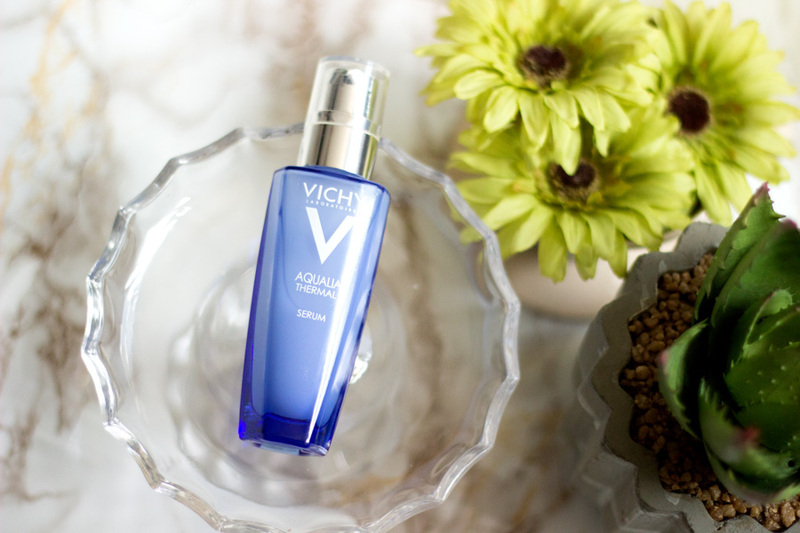 In order to make this serum as dynamic as possible, the Vichy Thermal Spa Water is combined with sugars in an energizing formula. Now, that's a lot of strong claims so you can imagine how curious I was to try this little power serum and see if it lives up to its claims. The first thing I noticed was how refreshing and hydrating it made my skin feel immediately after cleansing my skin. I find that no matter what how gentle my cleanser is, my skin still feels slightly dry afterwards. I always combat this with a toner to rebalance my PH and add back some moisture but sometimes there is still that slight dehydrated feeling. This is where this serum shows its prowess. On application, I noticed an immediate hydrating effect and it does not disappear after it sinks in. 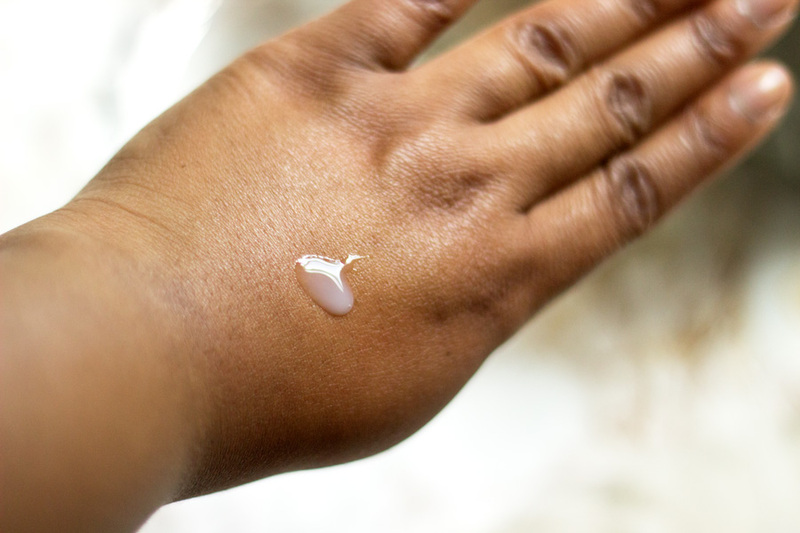 I think this is really important because many serums provide an immediate hydrating effect but it disappears before you are even done with your skincare routine. This did not happen with the Aqualia Therma Serum and I am really pleased about it. It has a lovely fragrance which reminds me of very high end brands like Lancome which I love. I know some people don't like fragrances because it bothers them or their skin. If you are under this category, you may not like this serum because it is has a fragrance (although it is rather lovely). However, it is not one that lingers and it has definitely not broken me out at all. It's worth trying a sample/tester, maybe in Boots, to see how you get on with it before purchasing or writing it off. It is a slightly runny serum as mentioned earlier so I start with one pump and then use a second pump if need be. I am careful not to waste it because one pump appears to be enough. If my skin feels slightly stripped than normal, then I go in with another pump. I just apply it to the back of my hands and gently massage across my face. I think it is best to use your fingertips but I just prefer to put it at the back of my hands first before using my fingertips. It really feels refreshing and hydrating and I can't emphasise enough how much I have enjoyed using it this season. I try to concentrate around the areas of my face where I have more pores because I feel it helps them stay minimised. I use this serum in the morning and night or one of the other depending on how my skin is feeling. It does not interfere with the rest of my skincare products instead I believe it helps them work better with my skin. I personally don't think it is an expensive serum at £22.50. I say this because it has such amazing quality with immediate benefits that you can see. Many serums out there cost a whole lot more and I don't think they offer as much benefits as this. I really recommend this serum if you are looking to start using a serum but don't know where to begin. The best thing is that there are always offers everywhere so you don't have to ever pay full price. Whenever I want to purchase any product, I just go to Google Ads or shops and do a price comparison because any offers or sales always come up at the top. As of today, Escentual has a 20% off everything on their website so you would be paying only £17.50 for this serum. Chemist Direct have it for £16.49. When I find other discounts, I would update this post. I honestly can't think of anything I don't like about this serum. I can't help but gush about this serum because I have really enjoyed it and it is on my repurchase list when I run out. 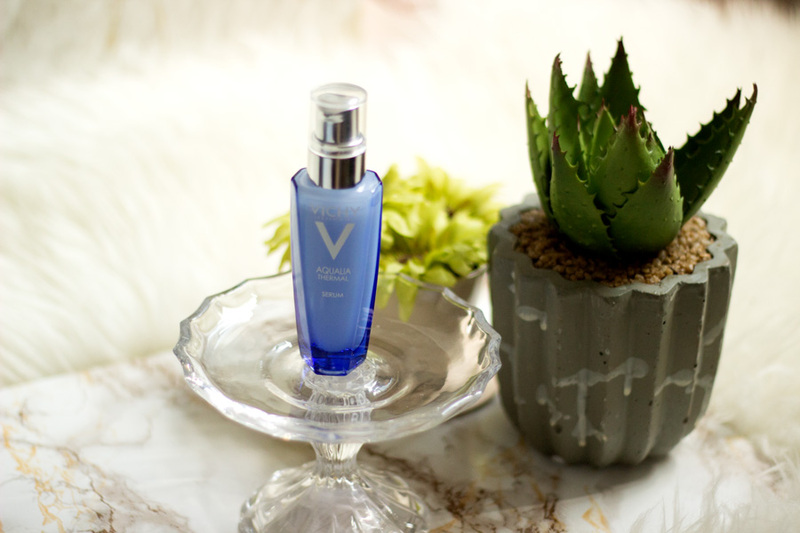 This was one of my first Vichy product I have tried and I am really impressed. 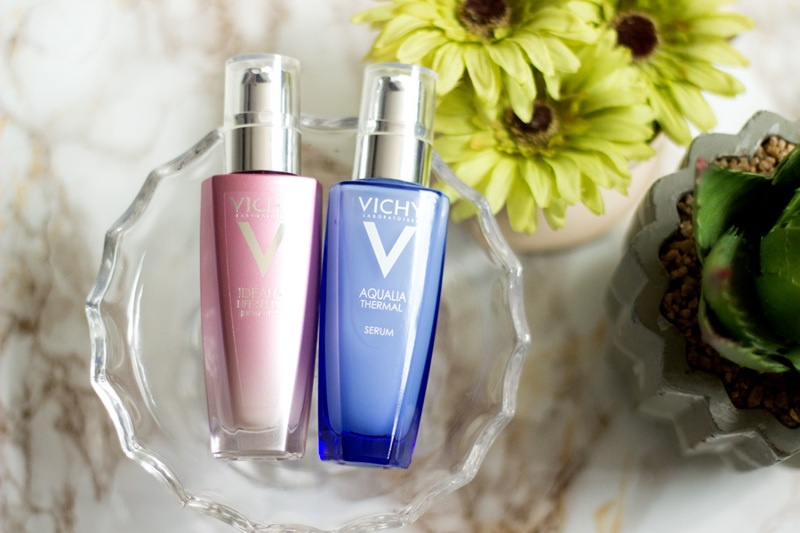 I was also lucky to receive the Vichy Idealia Serum* which is equally amazing in fact I have a comparison post and review coming up soon in case you are torn between choosing one. It's a hard choice but I guess it would depend on what kind of skin you have and what your needs are. That's it folks!! I hope you enjoyed this review and have a lovely weekend. 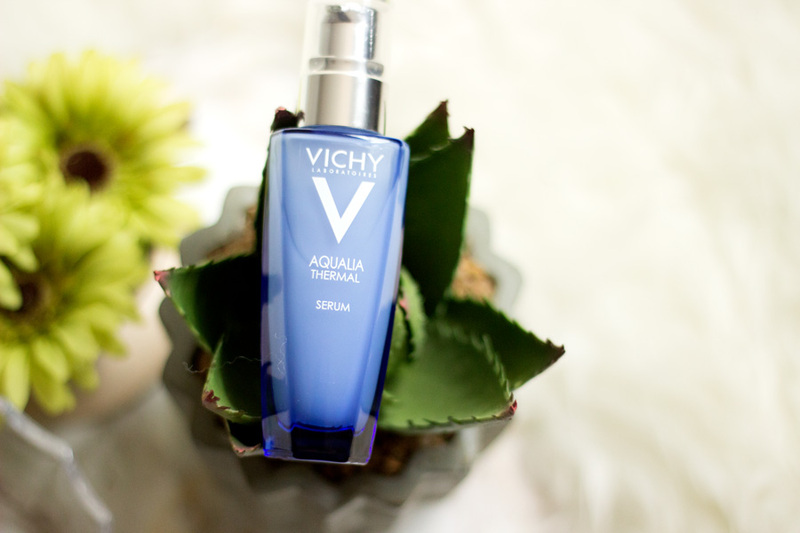 Have you tried the Vichy Aqualia Thermal Serum? I'm such a huge fan of this serum at the moment, it's such a gorgeous product!